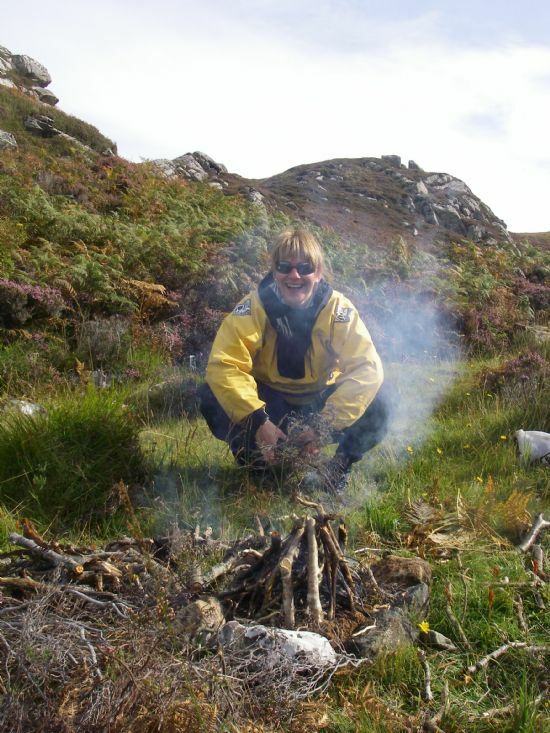 We also offer other courses that are not all-inclusive throughout the summer season, from 1-5 days, from Ullapool, Achiltibuie-The Summer Isles & Assynt, just let us know when you would like to come. 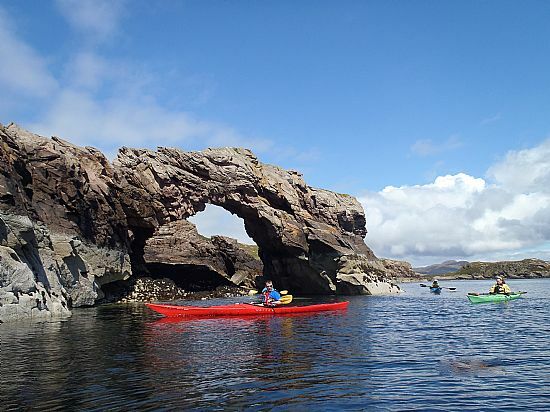 Courses on the Summer Isles Each year we run introduction and intromediate courses, based on 'Tanera Mor' the only inhabited island of the Summer Isles, one of the most spectacular places to paddle in Scotland. 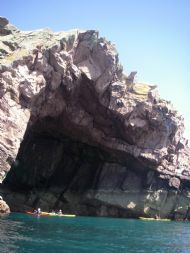 These trips are all inclusive of accomodation, meals, tuition and equipment and you will paddle each day from your doorstep. Day 1: You will be picked up by the fishing boat ‘Patricia’ and transported to the ‘The Summer Isle-Tanera Mor’. There you will settle into your accommodation ‘Fushia’ which sits on the water’s edge and enjoy tea and home made cake before venturing out on the water in the light of a summers evening. You will have a chance to try some different boats and get a feel for them in the nice sheltered East facing bay of Tanera. We keep the group size small, so that each day will be programmed around the specific needs and wants of you the client. This means that it is just as much a holiday as a course. Day 2: After breakfast you will launch your kayak from the garden of the house where we will begin to explore the North or South of Tanera. We will coach in context along the way, so that learning feels easy. After a day of exploring we will be greeted with homemade cake and a nice pot of tea/coffee. We will again be treated to some culinary delights that evening; it may even be some local seafood from the waters we have just paddled in. Day 3: We will plan a journey looking at the weather and tides to go and explore the ‘Summer Isles’ further. This stunning archipeligo has surprises around every corner. 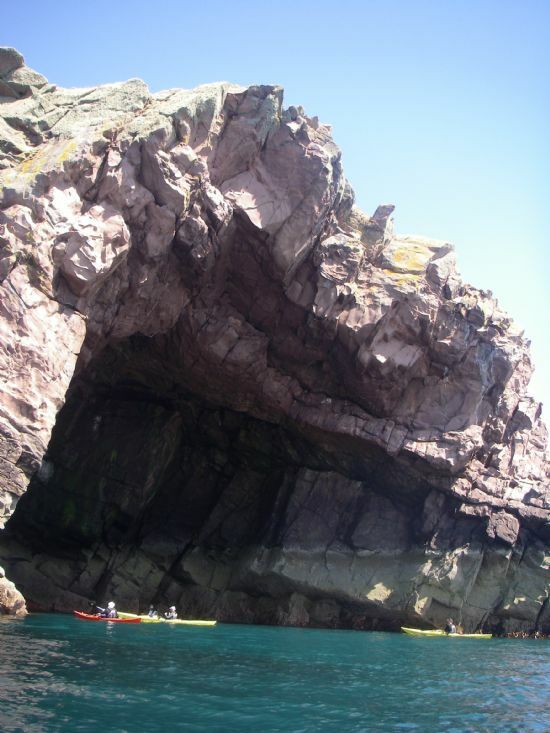 We will see natural rock arches, coral sands and the might Cathedral Cave. We will weave our way between islands and skerries and arrive back at our cottage on the waters edge for some more lovely homemade food whilst admiring the views of our journey from the dining room window. In the evenings you can explore the wilderness of Tanera by foot, grab a rod and see if you can catch a fish, or simply just relax and get used to a different pace of life-island living! 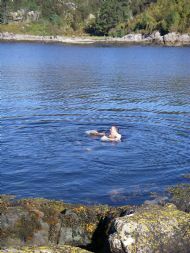 Day 4: We will again enjoy the natural beauty of the Summer Isles and beyond from sea and land. Exploring, discovering, learning and honing skills. 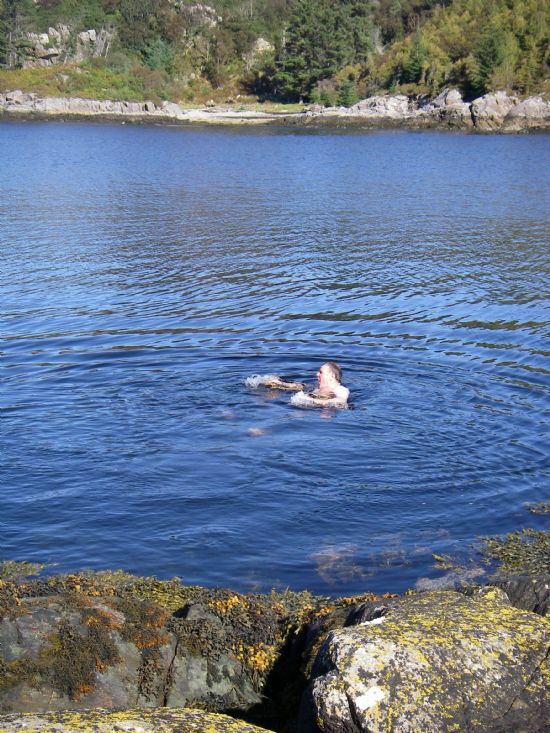 We will go in search of otters, visit seal colonies, and always have our eyes peeled for the passing whale and dolphin and the mighty sea eagle. 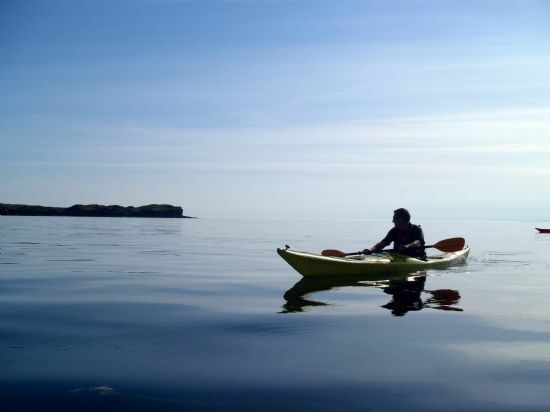 This holiday is a chance to get away from it all and recharge your batteries in one of the most stunning land and seascapes Scotland has to offer! Day 5: We will spend the morning back on the water exploring the coast and recapping all we have learnt along the way. 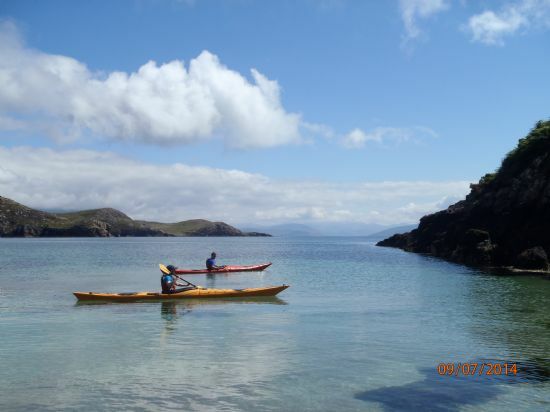 After lunch sadly you will leave behind your island home and be transported back to the mainland by the ‘Patricia’ with a lasting memory of island life and a firm grasp of sea kayaking to plan your next adventure. If the weather is fair then we will paddle our kayaks back to the mainland while ‘Patricia’ transports your wares. 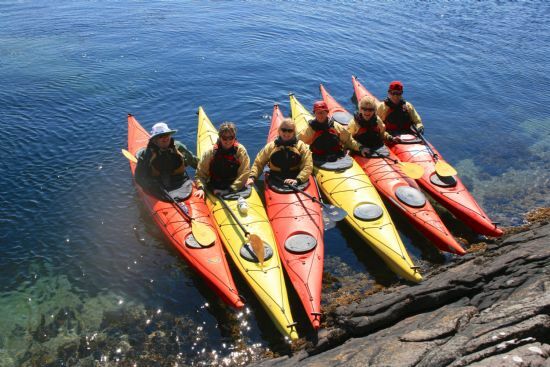 An introduction course is for anyone who wants to learn a little more about sea kayaking. Each course is different and is tailored to meet the needs and wants of you the client. The first day we will look at equipment and then get on the water to see where people are, with their kayaking. Some may have done some before, others may not, thus people will be grouped accordingly. The good thing about sea kayaks is that they are made to go in a straight line and the ones we use are stable. This means you will quickly feel at home in your boat. We will then spend the day building boat confidence and manoverability. On the second day we will aim to go for a paddle putting skills into practise as we go and of course learning along the way. Within this course we will also look at saftey, rescue and weather (do not worry it is not necessary to get wet, but there is the option to). The third and fourth day will see us plan and do a journey according to the group needs, tides, and weather. It will also see us honing our skills. We wll also have time on land to explore our island home, discovering its history, and the amazing flora and fona. An Intromediate course will be aimed at people with some kayaking experience, who would like to learn more skills and aquire more knowledge. This course will again be based around clients needs and wants. We will look at where you are at with your kayaking and what you want to work on. The course will include skills training, journeys, journey planning, weather reading on and off the water, saftey and rescue.